Turnkey aluminum manufacturing is a better approach for producing heat sink designs and other thermal management solutions over a “traditional” manufacturing approach. How do other heat sink companies manufacture their heat sinks? They farm it out to various subcontractors to get the work done. They create the designs and specifications based on the client’s needs, ship it to a manufacturer to have it produced, then ship it to another company to have the product machined and apply finish to the design, etc. Because a turnkey manufacturer does not outsource the work to sub-contractors, the process is tightly controlled entirely by one company there is no, “passing the buck” or having one sub-contractor blame another for problems that occur during the manufacturing process. 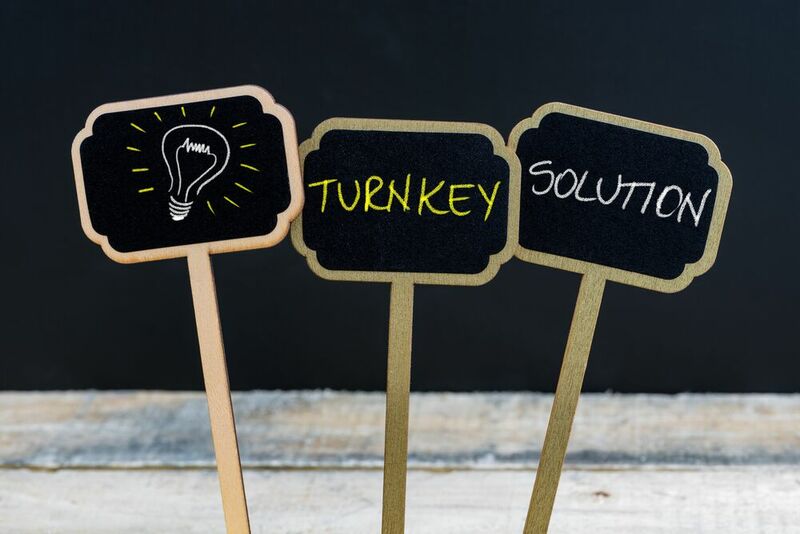 Communication within the turnkey organization is faster and more efficient and you don’t have to wait a long time to discover a problem with the process. The product is produced according to the customer’s specifications and the quality is maintained by that organization. Because a turnkey manufacturing organization develops the thermal product solution within one organization you save considerable time shipping the project to one sub-contractor, waiting for completion, then sending it to a second subcontractor, etc. The product slides seamlessly from one phase of the project to another within a single organization making it faster–because you eliminate all of the time wasted shipping the product from subcontractor to subcontractor. results in a considerable reduction in project lead time when comparing a turnkey manufacturing operation to the more traditional aluminum manufacturing approach. Because the turnkey manufacturing company oversees every aspect of the project, from initial design to product assembly, problems can be identified quickly and corrected within the process as well as make other adjustments and improvements to the output based on tests in the field and in the lab. This is simply not possible in the “traditional” outsourced aluminum manufacturing process. Turnkey aluminum manufacturing saves you money for all of the reasons above. Higher quality products create more satisfied customers, less rework and more sales. Reduced lead time on projects saves you time which, of course, saves money. The ability to make adjustments to the product and process quicker allows you to correct mistakes resulting in saved expense when needing to make changes far later in the process such as right before the product hits the market, or (worse yet) after the product is in the hands of your customers. Is Turnkey Aluminum Manufacturing Right for You? Get more details about the turnkey aluminum manufacturing process and products by completing our online contact form or calling 888-000-8499 to speak to a turnkey aluminum manufacturing expert today.